UNSETTLING MESSAGES: Students examine messages on display in the Blue Gallery in David Saul Smith Union. 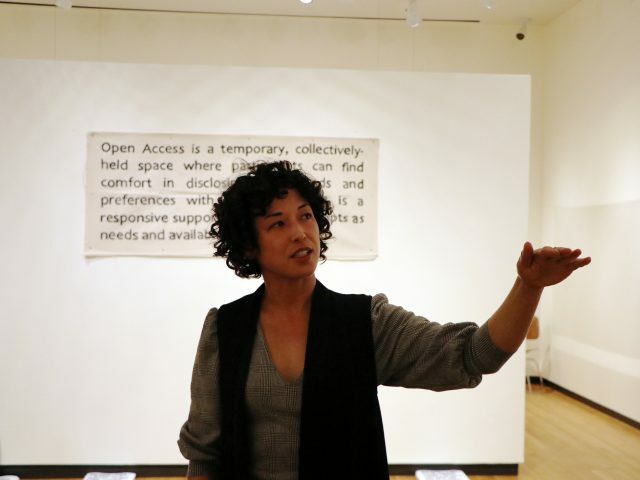 The exhibition highlights sexual harassment by featuring unwanted messages received by Bowdoin students. That’s one of the 18 messages on display in “Texts,” an art show that opened in the Blue Gallery in David Saul Smith Union on Tuesday. 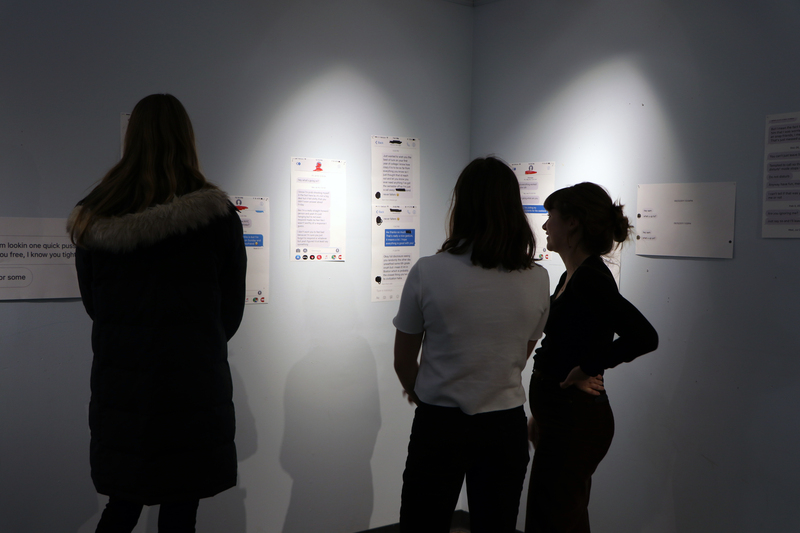 Organized by seniors Lillian Eckstein and Steph Sun, the exhibition aims to shine light on sexual harassment by showcasing unwanted messages that Bowdoin students have received via texting and social media. The pair started thinking about the exhibit last fall after a friend received an upsetting message. With the “#MeToo” movement galvanizing women across the United States to speak up about sexual violence, Sun and Eckstein wanted to highlight another kind of harassment—one that they find unfortunately common. To curate the exhibit, they asked Bowdoin students to submit screenshots of unwanted or unsettling messages they had received. The messages vary from one or two lines to paragraphs which had to be printed on multiple pages. Some are graphic and sexual, while others present racialized remarks. The messages originate from a variety of platforms, including iMessage, Facebook Messenger and dating apps like Bumble and Tinder. To protect students’ privacy, Sun and Eckstein allowed them to anonymously send in messages via a Google form. Any personal information in the messages is blacked out. 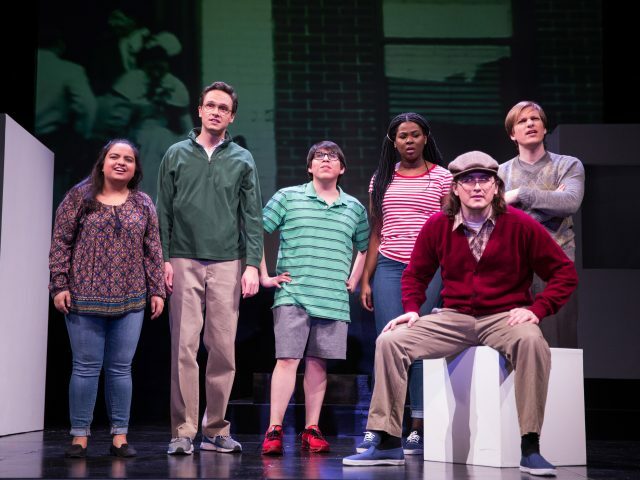 Eckstein noted that some students might not have wanted to submit to the show even anonymously, as the sender of the message—if another Bowdoin student—could make the connection. “Part of that was convincing people that there’s some power in sending it in,” she said. 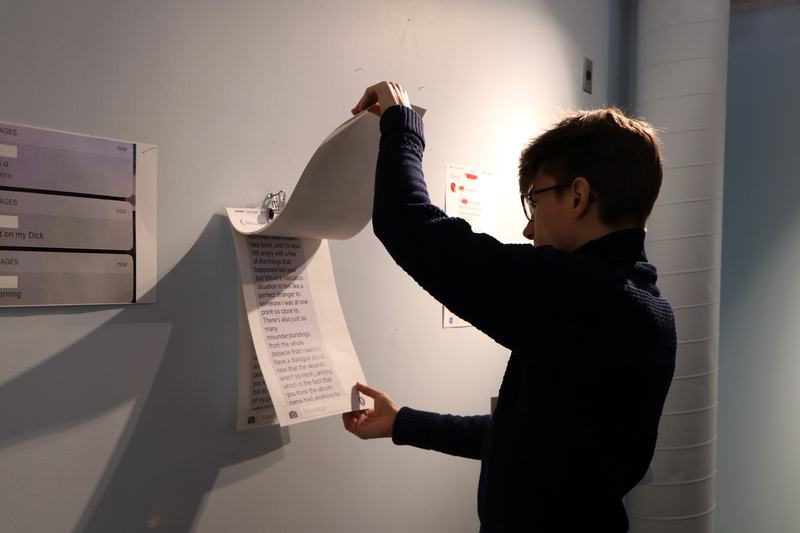 The exhibit also includes a piece titled “The List,” a compilation of blurred-out names and a reference to a “List of Men to Avoid,” which a Middlebury student posted on Facebook last December. The post included the names of 33 male students before it was removed from Facebook. 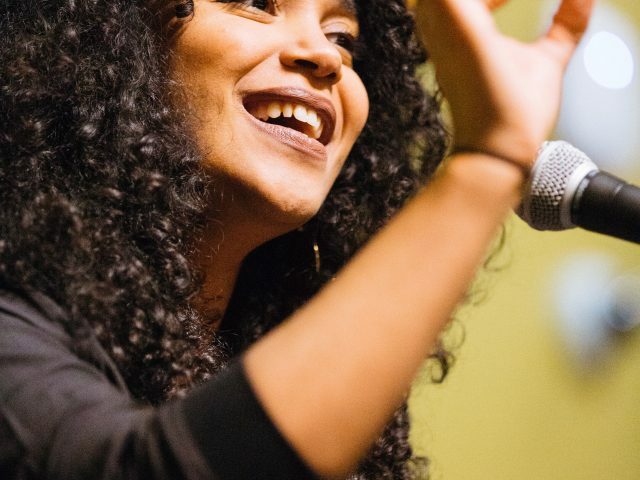 The student who posted the list is facing discipline after an administrative investigation, according to the Middlebury Campus. 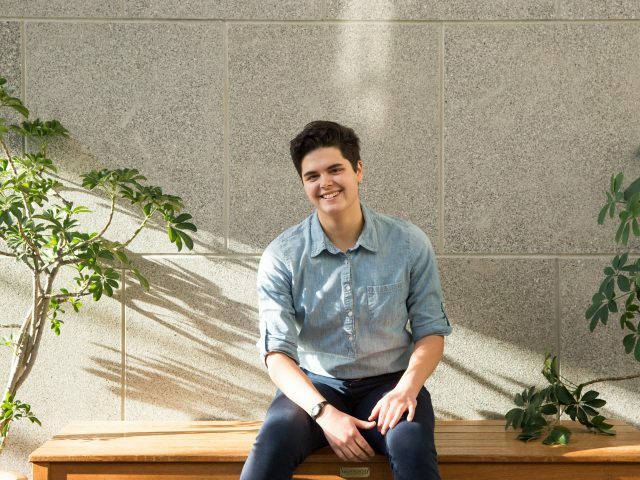 “To see how that unfolded and consider how that same conversation might play out at Bowdoin … there’s been a lot of talk about whisper networks, and I think [the list] is trying to highlight it,” Sun said. Eckstein and Sun are not the first to call attention to sexually-charged text messages from the Bowdoin community. The Instagram account @BowdoinBootyCalls, for example, takes submissions of student text messages—often ones that resulted in awkwardness and rejection. The account, which launched last semester, currently has 685 followers. However, rather than seeing booty calls as a source of amusement, Sun and Eckstein wanted highlight how such messages can sometimes be offensive or harmful. “I think that humor can be really powerful, but it also has the ability to diminish the seriousness of certain things,” Sun said. The exhibit will be up in the Blue Room through Spring Break. The pair is continuing to take submissions and hopes to eventually post the messages to Facebook or another online platform in order to reach a broader audience.